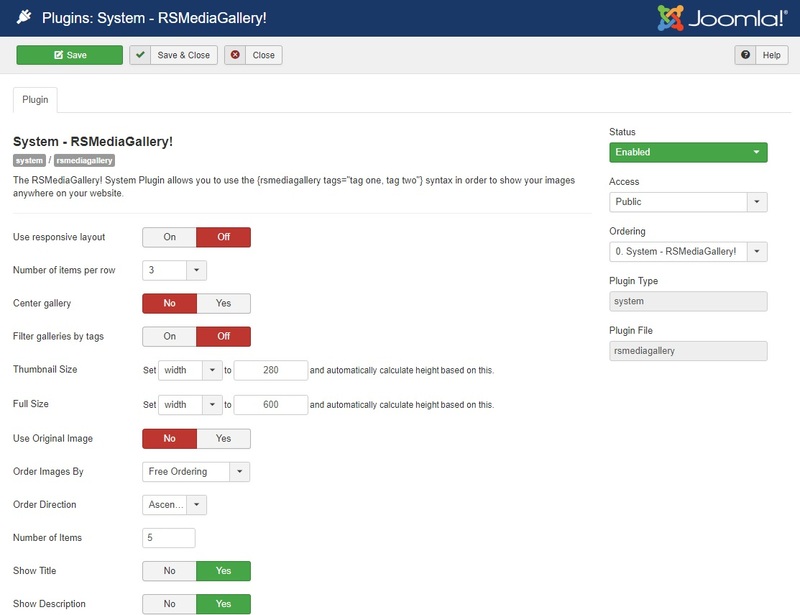 Unlike the Content Plugin, the RSMediaGallery! System Plugin allows you to publish a gallery anywhere on your website. 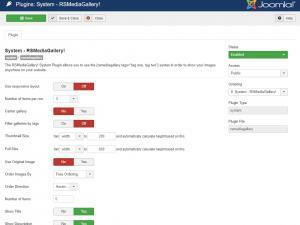 After the installation is complete, you can access it here: Extensions >> Plugin Manager: System - RSMediaGallery!. Along with ver. 1.9.0, the System Plugin was adjusted so that it displays an overlay containing the image title and description when hovering the cursor over a thumbnail. Note: The following parameters are applied globally - the same settings will be used for all galleries that are published via the RSMediaGallery! System plugin.